“The primary task of the Church and of the Christian minister is the preaching of the Word of God” (19). “The work of preaching is the highest and the greatest and the most glorious calling to which any­one can ever be called” (9). “The most urgent need in the Christian Church today is true preaching; it is the greatest and most urgent need in the Church, it is obviously the greatest need of the world also” (9). Preaching must always come first, and it must not be replaced by anything else” (37). “There is a man standing in a pulpit and speaking, and there are people sitting in pews or seats listening. What is happening? What is this? What is his object? Why does the church put him there to do this? . . . Any true definition of preaching must say that that man is there to deliver the message of God, a message from God to those people. If you prefer the language of Paul, he is an ambassador for Christ. That is what he is. He has been sent, he is a commissioned person. In other words he is not there merely to talk to them, he is not there to entertain them. He is there — and I want to emphasis this — to do something to those people; he is there to produce results of various kinds; he is there to influence people. He is not merely to influence a part of them; he is not only to influence their minds, or only their emotions, or merely to bring pressure to bear on their wills and to induce them to some kind of activity. He is there to deal with the whole person; and his preaching is meant to affect the whole person at the very centre of life. Preaching should make such a difference to a man who is listening that he is never the same again. 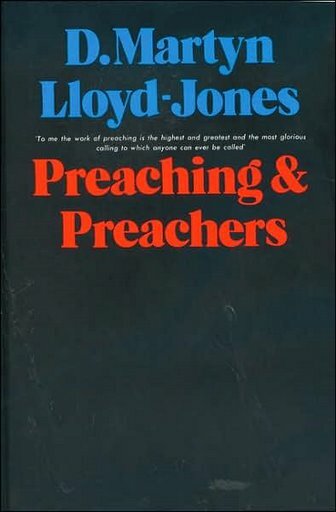 Preaching, in other words, is a transaction between the preacher and the listener. It does something for the soul of man, for the whole of the person, the entire man; it deals with him in a vital and radical manner” (p. 53).